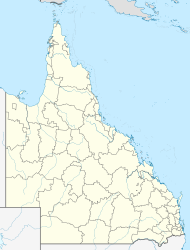 Dagun is a town in the Gympie Region of South East Queensland, Australia. It is one of a chain of towns in the Mary Valley also including Amamoor, Imbil, and Kandanga. The Dagun State Primary School  opened on 18 June 1924, it consists of 30+ students in years PREP-6 and a total of 5 staff members. Dagun Post Office opened on 1 June 1925 (a receiving office had been open from 1920) and closed in 1975. ^ Australian Bureau of Statistics (27 June 2017). "Dagun (State Suburb)". 2016 Census QuickStats. Retrieved 18 March 2018. ^ "Dagun State School". Retrieved 25 January 2017.